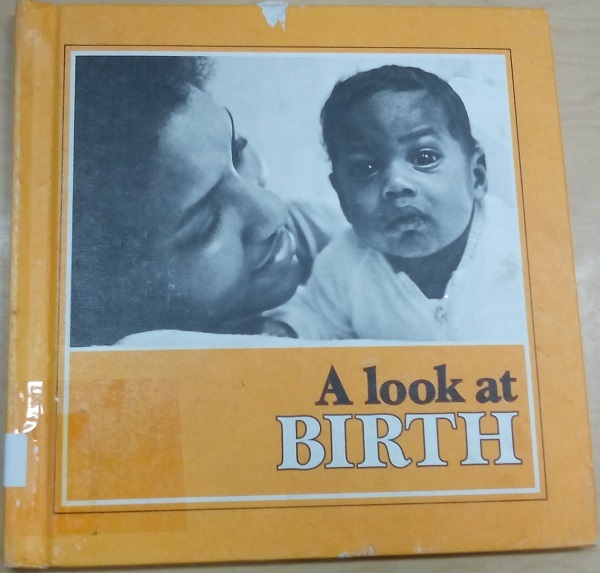 Submitter: This book was recently weeded from [a] Community Library in [Wisconsin]. 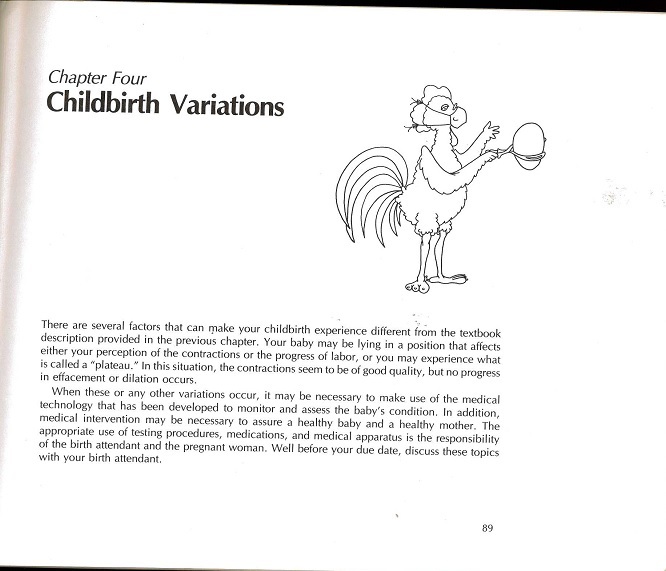 Not only is it falling apart and thirty years old, but it is also a childbirth guide featuring cartoon chickens. I mean, come on! Imagine the meetings in which this book seemed like a good idea! 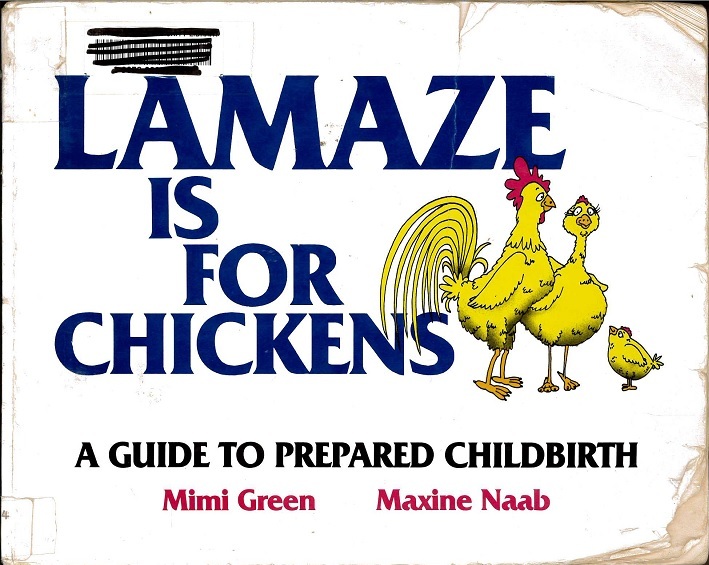 Lamaze is for Chickens: A Guide to Prepared Childbirth, is so ridiculous I removed it from the shelf the immediately! 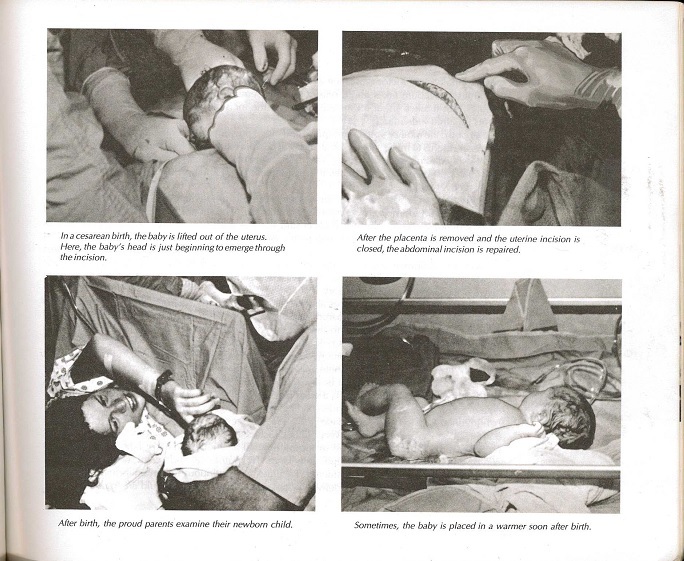 Imagine a childbirth guide with cartoon chickens representing real women – a chicken packing a bag for her trip to the hospital – except, there are also vivid close up black and white images of real childbirth! You don’t want to leave it lying around where the cartoonish cover art may attract unsuspecting children…yikes! Holly: The title makes it sound like lamaze is for weaklings who are afraid of childbirth, like it is somehow laughable that a woman would want to consider it. I don’t think that’s what they intended, so the title is unfortunate. Also…chickens? Next Post:Step up your faith! They couldn’t even pick a spokes-species that gives birth like a human, IE. a mammal? Yeah, the cover might attract children, but why would it hurt for them to see the photos? In other words, why “Yikes!”? Not every c5yo is prepared for photos of a Cesaerean section. 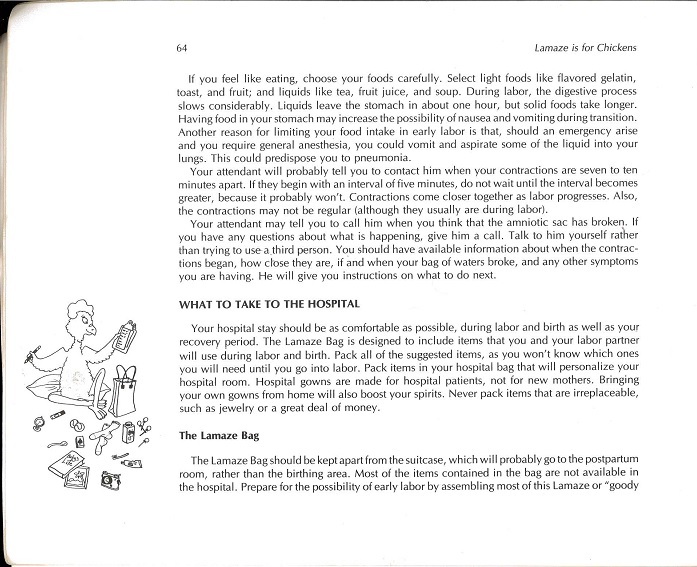 The other issue is that Lamaze has changed in 30 years. Apparently they no longer believe that the pain of childbirth can be managed by breathing techniques. I’m guessing the breathing and focus exercises help you manage your “fight or flight” instinct. So a kid picks up the book…. I was drinking a Coke when I read that…if my laptop doesn’t come clean, you owe me a new one.